Welcome back to ALL THE RAGE APRIL! 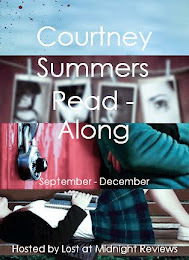 If you missed my Q&A with Courtney Summers yesterday, be sure to check it out! Today on the blog, we have a brave guest post from the wonderful Kathy from A Glass of Wine about finding your voice. I'm going to give a mild trigger warning for this one, just in case. This is probably the most personal blog post I've ever written. I had debated not writing it. However, I feel that this book, and this topic is that important. It also helps that I am sharing it on someone else’s blog. Ciara is hosting a wonderful month long event to celebrate All The Rage by Courtney Summers. If you've read any of her novels before you know how important, and searing her novels are. She prompts the tough questions and leaves you thinking long after you've finished reading. All The Rage is no exception. Reading All The Rage took me back to a time when I was younger and in school. I am deliberately going to be vague and not mention my exact age. A guy I had been casually ‘dating’ had gone some where quieter to talk and be alone together. We started to kiss and make out a bit. It quickly became evident that he wanted things to progress much faster and further than I was ready for. Despite my saying no he kept trying to push the issue. Kept trying to take this further. Murmuring reassurances and almost flat out saying that we had been dating long enough and that I was being a tease. Luckily it never escalated too far, as two guys walked in and heard me say no and asked the guy what his problem was. The thing that stayed with me after that night was how my voice didn’t seem to matter. My no meant nothing. This thought however, was not instantaneous. Instead I placed the blame on myself. I never even considered reporting what happened because in my mind he never raped me so why report it. What had happened to me wasn't that bad, right? So why cause a scene. His stance that I ‘teased’ him was in the back of my mind. He had called me frigid and expressed that I needed to lighten up and even mentioned knowing that I wasn't a virgin so what was my problem. I thought it was MY issue because of his words. It took me so long to realize what happened was technically an assault. Someone was touching me without my consent after I had expressed my wishes for it to stop. After I had said no. It took way longer than it should have for me to stop seeing it was my fault. This is why All The Rage is important. Society silences girls. It tries to shift them blame on them. What were you wearing? Why did you go there? Were you drinking? These questions are meant to diminish and take away someone’s right to have their voice heard and supported. Courtney Summers wants to empower and give back that voice. She wants to encourage girls to have each other's backs. Nothing is worse than a girl silencing another. We need to support and lift each other and All The Rage spotlights that. Thank you so much Kathy for telling your story! I appreciate you lending your voice to this important subject. 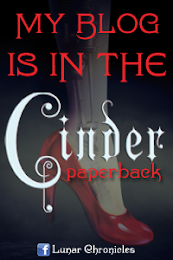 Make sure to stop by tomorrow for another guest post! Why Do People Want to Read ALL THE RAGE?